Discussion in 'SoCalScene' started by timbuck, Nov 6, 2018. Cal South will be delivering a series of modular based Workshops/Webinars, designed to serve as resources for our Affiliate Members. The second Webinar, “Intro to Negotiation”, will be held on Wednesdays, November 7 and 14, from 6:30pm to 8:00pm at the Cal South Corporate Office located at 1029 S Placentia Ave in Fullerton. To view the first webinar, Intro to Organizational Development, click here. It is our hope that these Educational Workshops will help our affiliate members gain knowledge, understanding, and expertise to support their specific organizational and business needs. Whether we realize it or not, we are negotiating throughout our day and within many areas of our lives, whether professionally or personally. 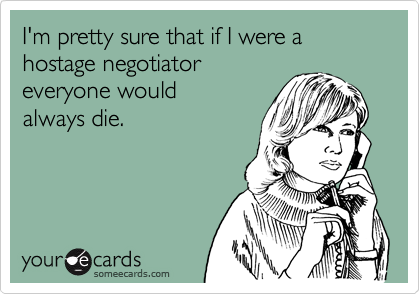 Negotiation is a skill and a process that you can learn. To help you develop, this two part webinar series will provide you an overview of tools and strategies to feel more confident when negotiating. Nov 7 - Negotiation I: How to pick the right strategy based on what you want to accomplish and how to put an effective plan together. Nov 14 - Negotiation II: Deeper dive into influencing tactics, sources of power and pointers on keeping your negotiation on track. Sunshine Okano is an accomplished trainer and coach with an extensive background in Organizational Development and HR. She has over fifteen years of experience, ranging from leadership development and team building to coaching and skill development. Sunshine has worked with numerous leaders from team leaders to high level executives to increase their leadership skills and executive presence. Will they be covering both major philosophies -- (possession vs direct)? I guess its "kinda cool" that Cal-South is looking outside the lens of strictly soccer to try and help clubs run themselves better. But I could think of about 10 other classes that clubs need to work on before they take a "negotiation" class. 2. Tax law- How to maintain your non-profit status while using volunteers to run your $900 per team tournament. 4. Social Media- how to use Instagram. Post every time your flight 3 team wins, but ignore the fact that your flight 1 kids joined them that day. Also, make sure to include any tournaments your team wins, even if it’s your Flight 1 team playing in the 2nd or 3rd flight of a tournament. 5. Fashion Design- Be bold. Be brave. Use blue as your primary uniform color. And white as your secondary color. Make sure to create a logo that speaks to your history and commitment. (Even if your club has only been around for a short amount of time). 6. Child Development- is yelling as loud as possible with an accent the best thing for teaching kids? 7. Family Counseling- How to deal with parents that have different expectations. 8. Ethics- I’ll leave this one alone. 9. Logistics- how to coach 4 teams at the same time and still charge everyone full price when you only make 1/3 of the games. 10. Physical Education- Does playing 4 games a weekend all summer do more harm than good? Should an 8 year old be full time goalie because she’s the slowest kid on the team? Is a 12 month season with 5 breaks of 1 week each better than taking a full month off once in a while. Should a kid be “allowed” to try another sport during the winter, spring or summer? Branching out in the event the player numbers continue to decline? 1. Pay for coaches renogotiated to include a base salary + possible tips based on uber like ratings + possible bonuses from upper management. 2. Pay for Refreees renogotiated to include a base fee plus possible tips & bonus based on uber like ratings. 3. Parking fees reduced or offered at a discount via a "season pass" at some of the complexs. 4. Tournment rewards & fees changed to include a montary reward for all champions (100% refund) & finalist (50% refund of entry fee). 6. Uniform cap limit of $150 per kit to include home/away & backpack. 7. All leagues to include prize money rewards for top two (1-2) place finishers. 9.Parents in good standing given to right to vote on all club, leagues, assocations, governing bodies matters that invloving how "fees" are spent. 10. On-line Fantasy youth soccer league like "Fanduel" to include prize money for those that like to keep "stats" and "predict"